Best free chat! Why not? It's not only free or global random chat; it's also up to date and updated and now it has rooms and advanced settings inside. 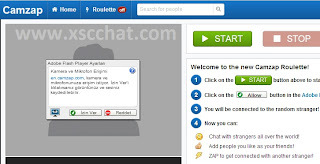 So they makes Camzap one of the best video chat site. So, if you are 18+ years old and if you know English then you can try Camzap English Version. 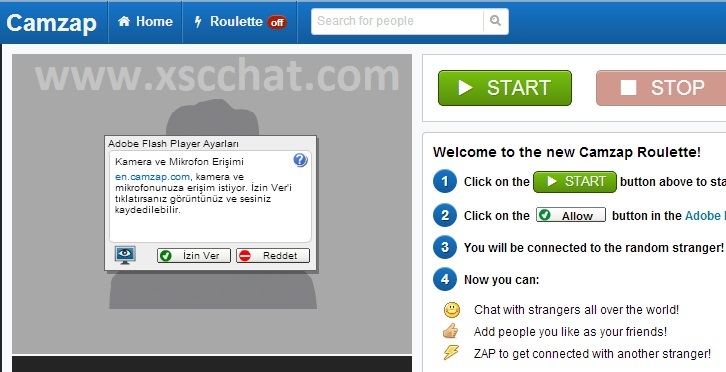 Just go to en.camzap.com and you'll see it with English version and that can help you to see more features and login and also start webcam chat. Go to below, click "More.." and you'll see "Disclaimer" warning; if you agree click and enter the rooms. Here you can also open your own room to. You can upload images, search people online too.